We’d love your help. 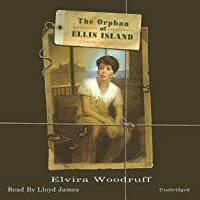 Let us know what’s wrong with this preview of The Orphan of Ellis Island by Elvira Woodruff. During a school trip to Ellis Island, Dominick Avaro, a ten-year-old foster child, travels back in time to 1908 Italy and accompanies two young emigrants to America. To ask other readers questions about The Orphan of Ellis Island, please sign up. Ashley Lady Liberty is the Statue of Liberty. What happened to immigrants that didnt paas the tests? Ashley They get sent back to their country. The orphan of Ellis island was a very interesting book, and I think this book can help you understand how people used to live, and how they suffered to come to America, on these ships, that are really dirty and no clean water to drink. to America, and how their life was like separated from their family. I came across this book when looking up info on Ellis Island. It looked to be an interesting time-travel idea -- Would the orphan from modern times find out about his parents when he travels back in time? Dominic's life is in turmoil. His foster family will be moving out of state and he will soon be placed with ANOTHER family. He's tired of not fitting in, tired of having no friends, tired of not having a family. When on a field trip to Ellis Island with his classmates, Dominic tells a lie about I came across this book when looking up info on Ellis Island. It looked to be an interesting time-travel idea -- Would the orphan from modern times find out about his parents when he travels back in time? Dominic's life is in turmoil. His foster family will be moving out of state and he will soon be placed with ANOTHER family. He's tired of not fitting in, tired of having no friends, tired of not having a family. When on a field trip to Ellis Island with his classmates, Dominic tells a lie about his family name being on the Immigrant Wall of Honor. So he doesn't have to admit lying to his class, Dominic runs off and hides in a closet. There, he falls asleep and is locked in the building after closing. After a strange conversation with an immigrant via the telephone receiver in an exhibit, Dominic is transported back in time to 1911 Italy. There he meets three brothers, who are orphans, and are planning to travel to America soon. Dominic's life is forever changed by the discoveries he makes about these boys and how it relates to his own life. THE ORPHAN OF ELLIS ISLAND is an entertaining time travel story, full of adventure and mystery. I found it fast-paced and easy-to-read. It will be perfect for those that love adventure stories. Story time: I don't remember how I first found this book, but I was about 10 years old and it was my favorite thing ever. I read constantly, since I was never found of the ending, I would start again and reimagine what happened to these boys. My 1995 printing of the book was in terrible shape, and on the third or forth read through pages started coming out of the binding. On the fifth read through, whole chunks were missing. Eventually it completely fell apart and my mom threw it away. I was SO Story time: I don't remember how I first found this book, but I was about 10 years old and it was my favorite thing ever. I read constantly, since I was never found of the ending, I would start again and reimagine what happened to these boys. My 1995 printing of the book was in terrible shape, and on the third or forth read through pages started coming out of the binding. On the fifth read through, whole chunks were missing. Eventually it completely fell apart and my mom threw it away. I was SO upset that I held a grudge over my missing book for 16 years! But on a recent trip to Ellis Island, with mom, there it was waiting for me in the book store. I very literally shrieked, freaking out the guy at cash register. Story explained, and book in hand, I giddily ran through the museum pointing out all the parts that featured strongly in the book. This book is about an orphan boy who goes on a field trip with his class to Ellis Island. HE doesn't know any of his ancestors and feels bad when everyone is showing each others theres. She when he hides in the closet and falls asleep he wakes up and somehow ends up in Italy in 1908! I can make a text to MOVIE connection when a boy gets locked in a museum and cant get out so he explores the museum and finds out stories about the history of the world. I would rate this book a 3 because it was a go This book is about an orphan boy who goes on a field trip with his class to Ellis Island. HE doesn't know any of his ancestors and feels bad when everyone is showing each others theres. She when he hides in the closet and falls asleep he wakes up and somehow ends up in Italy in 1908! In my 5th grade class we read this together. Since we where working on a Immigration report it fit in well. I liked it because how true the history was and Elvira Woodruff didnt make the history up or anything. Also my report was based on Italian immigrants since I do have Italian in me. I loved the imagination the characters had in the book. Read this book to my third grade class, and they LOVED it! Had lots of opportunity for reviewing comprehension strategies, learning new vocabulary, and understand life lessons! And greatest of all, it had my kids excited and wanting to keep reading! I LOVED THIS BOOK!!!!!!!!!!! :) IT WAS AMAZING! i recommend it to anybody who is Italian and has ancestors that came from Italy to Ellis Island a long time ago. Summary: This book was about an orphan named Dominic. His class when to the Ellis Island Museum and he got very upset, hid in a closet and fell asleep. When he woke up his class was gone, the museum was closed, and he was alone. He started to wander around and he listened to the stories of the immigrants. One of the immigrants started to talk to him through the phone and he ended up traveling back in time to Italy in 1908. He met 3 brothers that were also orphans and he became very close. After Summary: This book was about an orphan named Dominic. His class when to the Ellis Island Museum and he got very upset, hid in a closet and fell asleep. When he woke up his class was gone, the museum was closed, and he was alone. He started to wander around and he listened to the stories of the immigrants. One of the immigrants started to talk to him through the phone and he ended up traveling back in time to Italy in 1908. He met 3 brothers that were also orphans and he became very close. After a series of events Dominic ended up figuring out one of the boys was his great-grandfather! He then traveled back to his own time and was placed into a family that wanted to foster him and maybe adopt him. Reflection: I loved reading this book with my class! It was so captivating and fun to read. The class loved reading it and they did not want to stop. I love how it talks about immigration and why people left their home country to go to the United States. Teaching: I would use this book to teach immigration. It is a 5th grade standard and it is great way for them to connect to the topic of immigration. When we were talking about immigration with this book we talked about why the brothers wanted to leave for America and I was able to tell them why my grandpa and parents immigrated to the United States. It gave them different perspectives and stories about immigration and they were able to understand immigration a lot. The story of an orphan who visited Ellis Island with his class and surprising went back to Italy in 1908. What he learns there and how he manages to return to Ellis Island and deal with his life there makes a very interesting read. It helped that I was sick today and spent a little time finishing the book. The orphan of Ellis Island used the "dream" to address 2 issues in this book. The reading was fluid, for young people reading this now some discussion will be needed on the main characters memories of New York as it is pre 9-1-1. As an adult the ending was to perfect but for a young person reading it the idea of dreams coming true is wonderful. The Orphan of Ellis Island is a time-travel fiction book. The characters star Dominic, Francesco, Salvatore, and Antonio. Dominic ends up dreaming, and ends up in the year 1908. All four end up in adventures as a famiglia, and a journey to America. The story line was fun, interesting, and engaging. The time travel aspect is not my preferred genre, but that part aside, the book was a good read. Great for children to know more about Ellis Island and the people who first stepped through its halls to the streets of America. It was okay but I would like it more if it had pictures. Thought I would be more impressed as this was recommended to me. It made you realize the hardships that immigrants faced. Sweet and moving, will tug at your heart strings. I have no idea if this book is actually good or not anymore, but kudos to the author for wowing my second-grade self. Good story of how emigrating to America was so hard but so needed for people to make a better life. A quick read, since it's juvenile fiction. Historically quite accurate and an interesting way to get kids engrossed into the immigrant story. I highly recommend it for students in grades 4-6. Opening line/sentence: "Welcome to Ellis Island," the ranger from the National Park Service said to the group of fifth graders standing before her. Brief Book Summary: This book is about an orphan named Dominic that goes on a class trip to Ellis Island and gets transported back in time to 1908. On his journey, Dominic gets transported back to Italy and learns all about his own family. The book describe the journey of many immigrants that came to American through Ellis Island and what the immigration journey was like for people coming from different countries to America. Grade 4-6. Dominic Cantori has spent most of his life in foster care. When a guide asks Dominic's fifth-grade class to talk about their families during a field trip to Ellis Island, the boy is embarrassed because he has no heritage to discuss, and hides in a storage closet where he promptly falls asleep. Waking after the museum is closed, he panics until the prerecorded voice of one of the exhibits soothes him back to sleep. When he wakes again, he finds himself in Italy in 1908. He is befriended by three orphan brothers who are waiting for sponsors to pay their passage to America. Dominic becomes part of their adventures and gains a new sense of family. When one of the brothers dies tragically, Dominic accompanies the other two to America and discovers that the boys may actually be related to him in more than just spirit. He arrives on Ellis Island, first as a new immigrant, and finally as a boy returning from a long journey, or perhaps a dream, that has given him a new sense of himself as well as hope for his future. Easy to read and hard to put down, this convincing novel gives a poignant and believable picture of the lives and motivations of some of this country's immigrants, and of one boy who learns about himself. While the time-travel element and subsequent plot twists occur almost too easily, the characters and situations are too involving to quibble about story construction. An enjoyable and informative tale. Professional Recommendation/Review #2: From Booklist Gr. 4-7. Dominic, a lonely orphan boy, is accidentally left behind on a fifth-grade school trip to Ellis Island. Wandering at night through the museum, he listens to the narratives of immigrants in the exhibit and is shocked when one of the voices addresses him, telling him about life in Italy. Exhausted, Dominic falls asleep, and finds himself transported to the same village the narrator was telling him about, a place in southern Italy, where the immigrant and his two brothers teach Dominic what it's truly like to be hungry and poor. They accept Dominic as a member of their little family, and eventually he ends up immigrating to America with them. The story, though not wholly plausible, sheds light on the values and experiences of Italian immigrants, with touches of humor and an easy-to-read style. An author's note at the end provides a thoughtful bridge from real life to fiction. Susan Dove Lempke --This text refers to an out of print or unavailable edition of this title. Response to Two Professional Reviews: Both of these reviews do a great job of summarizing the book. I like that the reviews mention how this book captures the struggles immigrants went through when coming to America at Ellis Island, even thought the book is fiction. I also agree that the book is heartwarming and perfect for teaching students about immigration and the importance of ancestry. Evaluation of Literary Elements: This book has an interesting, adventurous plot that makes it great for the 3rd to 5th grade audience. The text is simple and easy to read but very heartwarming. The author does a good job of creating solid characters like Dominic and the orphan brothers he meets on his journey. Lastly, the print size on the pages is larger making it easier to read for the young students. Dominic has never had a place to belong. He goes from one foster home to the next trying to hide from his different classmates. He's not like the rest of them. When his new class visits the Ellis Island Museum, he is embarrassed because he has no family history to speak of and no relatives that he can look up during the visit. Not only that, his shoes are too tight, and he is exhausted. When he falls asleep in a closet and wakes up hours later after everyone is gone, he panics. After picking up Dominic has never had a place to belong. He goes from one foster home to the next trying to hide from his different classmates. He's not like the rest of them. When his new class visits the Ellis Island Museum, he is embarrassed because he has no family history to speak of and no relatives that he can look up during the visit. Not only that, his shoes are too tight, and he is exhausted. When he falls asleep in a closet and wakes up hours later after everyone is gone, he panics. After picking up the phone and talking to someone from Italy in the early 1900s, he finds himself in a mysterious field with three boys speaking Italian, which he's shocked to find he can understand. Salvatore, Francesco, and Antonio are three brothers without a home. Dominic’s behavior seems so strange that the brothers assume he hit his head during an earthquake in another part of Italy. The boys become fast friends and after some interesting encounters, they tell Dominic that he is like family to them now. Unfortunately for Dominic, the boys soon find out that they will be traveling to America to be adopted and must leave in a few days. Making matters even worse, the boys are being blamed for the death of a local villain and must flea their village. Will Dominic be alone when the boys leave for America? Is it possible for four orphans to slip away undetected from those trying to capture them? Will Dominic ever get back to the time period he came from? Read this heartwarming story to find out how the story ends. 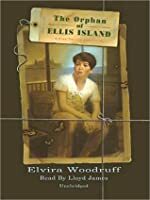 This book, The Orphan Of Ellis Island, is about a young boy named Dominic who goes on an elementary school trip to Ellis Island. In the middle of the trip, the students learned about their ancestors who came to America. Their ancestors came through Ellis Island. Dominic's ancestors were sent back to their country because of sickness and he was going to feel ashamed if they weren't mentioned. Therefore, he left the class and went into a closet in the museum for awhile. 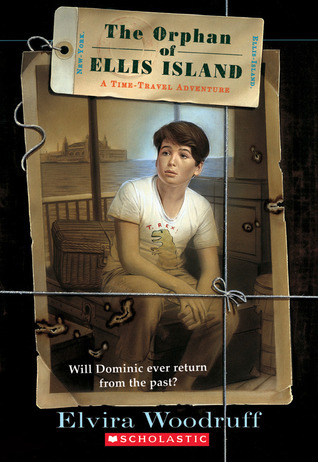 When he is ready to come ou This book, The Orphan Of Ellis Island, is about a young boy named Dominic who goes on an elementary school trip to Ellis Island. In the middle of the trip, the students learned about their ancestors who came to America. Their ancestors came through Ellis Island. Dominic's ancestors were sent back to their country because of sickness and he was going to feel ashamed if they weren't mentioned. Therefore, he left the class and went into a closet in the museum for awhile. When he is ready to come out, the door is locked and he falls asleep. When he wakes up the museum is deserted. While he was asleep, he was transported back to 1908, but he doesn't know how to get back. A text-to-world connection to this book was that Dominic was ashamed that his ancestors were not allowed to enter the United States. Many people are ashamed of their backgrounds but he was transported back to 1908 and had contact with his family. He found out that they were good people and he had no reason to be ashamed. They were not allowed into the country because of illness that they couldn't control. It was not because they were bad. Many people are ashamed because they do not understand that some things are out of our control. I would recommend this book to people who feel immigration is important and who have been to Ellis Island. The rating I would give this book is a 4 star rating because it shows how people can feel about the immigration experience. They wanted to come here and were disappointed when they were sent home for for illness in 1908. However, eventually after many years, some of Dominic's ancestors made it to America. I was excited to read this book. I love Ellis Island’s History. This book however did nothing to pull me in. It starts off slow for me. Granted there is a ‘small’ dilemma of Dominic feeling left out and different, but then it takes eight chapters before we get to the time travel aspect of this story. EIGHT CHAPTERS! I was ready to put the book down well before I reached chapter eight. Then we spend a lot of time in Italy. Now I know that this is a part of the story that works. When I analyze it, I was excited to read this book. I love Ellis Island’s History. This book however did nothing to pull me in. It starts off slow for me. Granted there is a ‘small’ dilemma of Dominic feeling left out and different, but then it takes eight chapters before we get to the time travel aspect of this story. EIGHT CHAPTERS! I was ready to put the book down well before I reached chapter eight. Then we spend a lot of time in Italy. Now I know that this is a part of the story that works. When I analyze it, my brain says it does what it needs to. However I wasn’t expecting the story to spend so much time in Italy, so I was a bit disappointed. I wanted to move quicker from that point of the story. I wanted to be on the ship with the children traveling to America. The boy time travels by falling asleep. Basically he falls asleep at the beginning and wakes up in Italy. Then he’s on Ellis Island waiting in line (at the end) and he drifts asleep and when he wakes up he’s back in present. I always find dealing with that issue of HOW is tough. In my first novel it was easy. There was a specific means ‘a door’ for getting to and from. In this novel I use the sleep factor too. I don’t particularly like this method, but sometimes it is the only way. I’m left wondering at the end of this book. We learn about Dominic’s past and his ancestors, but then there’s no mention of them dying out or being alive when he gets back to the present. Wouldn’t he try to find out something. There was another brother, wouldn’t there be the possibility of some other family out there? It just didn’t settle my questions good enough. So I was a tad disappointed in the end.